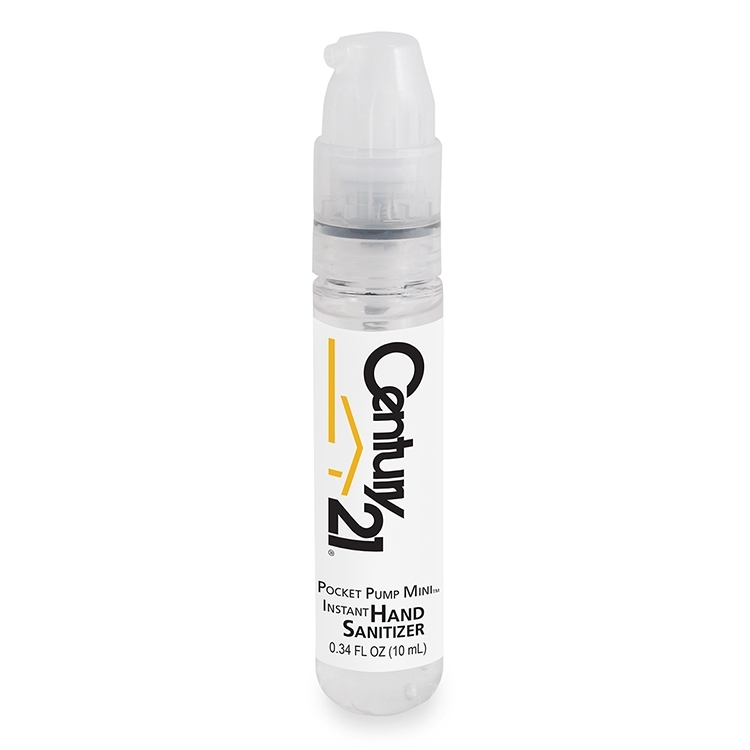 Mini Pocket Pump Instant Hand Sanitizer Gel. Sanitizer is produced and labeled in the USA in full compliance with FDA regulations. Patented Twist-Lock Top (TM) provides convenient one-hand use and prevents leaks. Tube may be recycled. Kills 99.9% of germs and moisturizes with aloe. Corn-derived 62% alcohol formula is environmentally friendly and is tested and certified bacteria free. Conveniently fits in pocket, bag, or purse. Clear tube with clear pump sprayer. Fragrance-free. 0.34 fl oz.